Newfoundland is home to some of Canada's largest and most remote National Parks, like Gros Morne. Here, you'll find clear lakes, imposing mountains, and tons of hiking, kayaking, mountain-climbing, and more. These parks are also home to some of the country's coolest wildlife, like puffins, moose, eagles, black bears, and more. 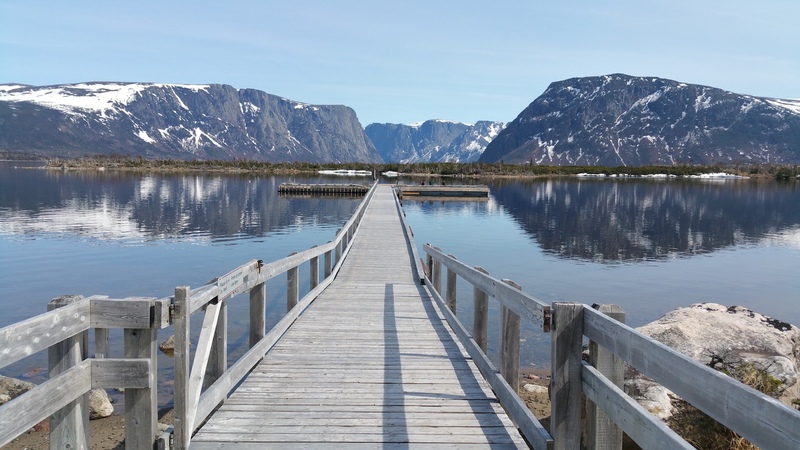 Gros Morne National Park, which means "the great sombre" (referring to the mountain, the centrepiece of the park) boasts plenty of trails for those looking for a hike (the Green Garden trail is especially lovely). When the Vikings set out to explore other continents a thousand years ago, they chose to settle in Newfoundland! We know this because, in the 1960s, it was discovered that L'Anse aux Meadows was actually established by Norse settlers in A.D. 1000, the best evidence of pre-Columbian trans-oceanic contact and the only known Norse settlement outside Greenland. Yep, these guys beat Christopher Columbus to America by about 500 years! If you visit today, you can see recreations of the sod houses they lived in, check out the archaeological site, and see some awesome artifacts. Welcome to Canada's most Easternly point! The Cape Spear Lighthouse here is the oldest surviving lighthouse in Newfoundland, having originally been established in 1836. It's been updated throughout history, of course, and there's a new, electric light from 1955, but the original lighthouse has been restored to look as it did back in the early 19th century. You can also see a World War II-era gun battery and some bunkers at the site as well; all this was established to guard the coast from German U-boats. Once you're done exploring all the fascinating history, take a moment to soak in the wild, rugged beauty of the Newfoundland coast-- it's especially breathtaking at sunset! It's hard to summarize such a vibrant city in a few sentences, but if you take one thing away from this, it should be that you need to visit St. John's. The city boasts on-trend boutique hotels, like the sleek, edgy Jag Boutique Hotel and The Murray Premises Hotel, which seamlessly blends the history of this old building with a shabby chic flair. Also, there's a delicious foodie scene featuring restaurants like Mallard Cottage and The Adelaide Oyster House, as well as colourfully painted buildings, awesome weather, mild winters and cool, breezy summers, gorgeous coastal scenery, and a minor league hockey team, the St. John's IceCaps. What more could you want from a trip to Canada, eh?